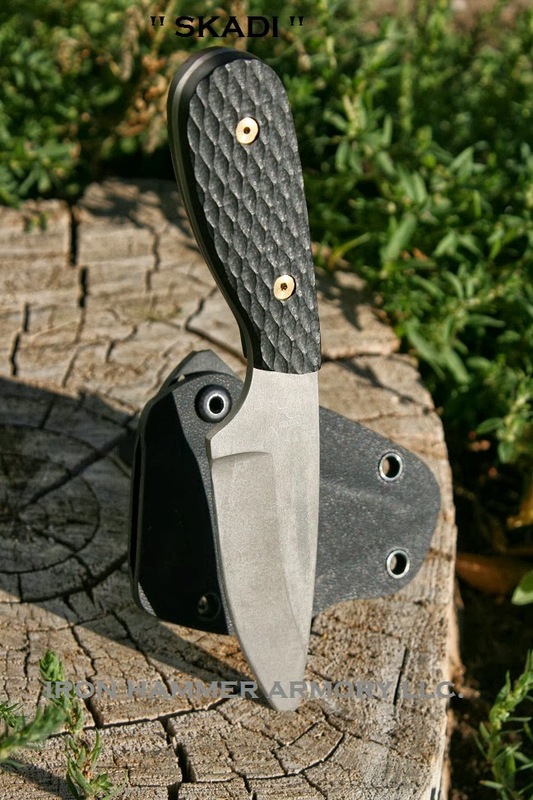 We already have some first hand experience with the craftsmanship put out by Iron Hammer Armory with their Roger's Belt Hatchet offered by Domari Nolo Defense Consulting, so we were excited to hear they were putting out some custom blades. 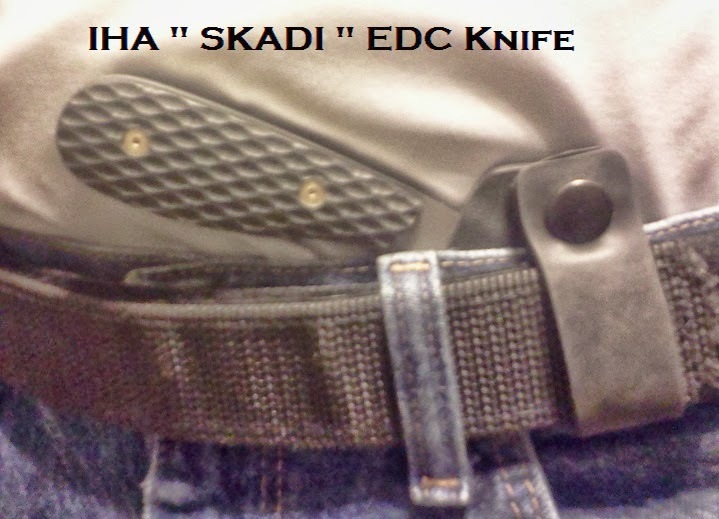 The first offering is the Skadi EDC Knife, which comes with its own Ambi IWB sheath. 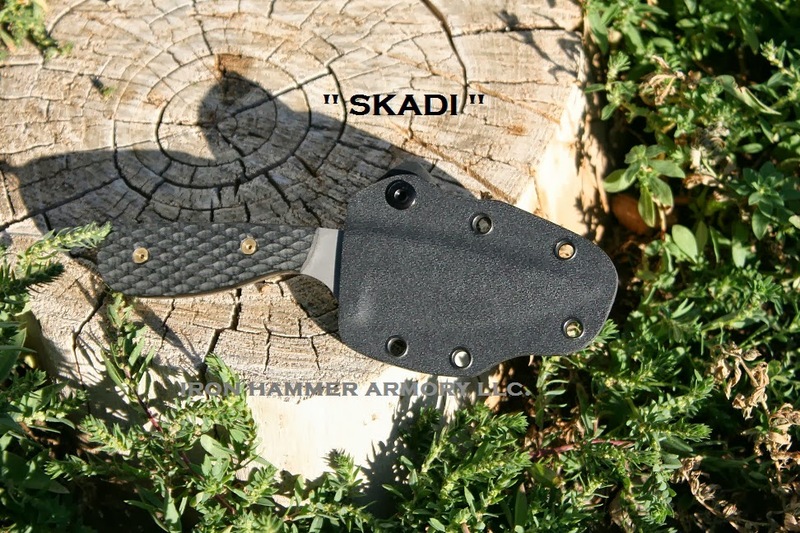 The Skadi is a fixed blade with a blade length of 3.25 inches and overall blade length of 7.25 inches. The blade is manufactured with D2 tool steel and .125 inches thick and hardened to an HRC of 60.